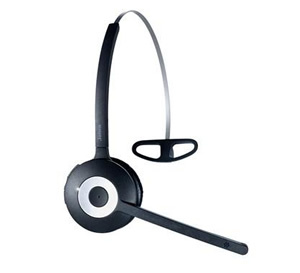 A simple Professional entry level headset, the reliable and affordable way to go wireless, compatible with all leading Desktop phones and Unified Communication platforms. It is a professional entry-level headset series that offer all the essential features of a wireless headset in a simple design at an attractive price point. The series include two versions: one for desk phones and one for Unified communications and PC-based telephony. Jabra Pro 900 headsets are optimized with all leading desk phone systems or Unified Communication platforms making them very easy to deploy. The simple and intuitive call-control buttons make it easy to control calls from the headset, a fact that increases employee adoption. Jabra Pro 900 headsets liberate users from their desks, enabling them to find documents and multi-task while talking on the phone. Employees can walk and talk up to 120m/350ft away from their desk, which gives them a remarkable amount of freedom while working.